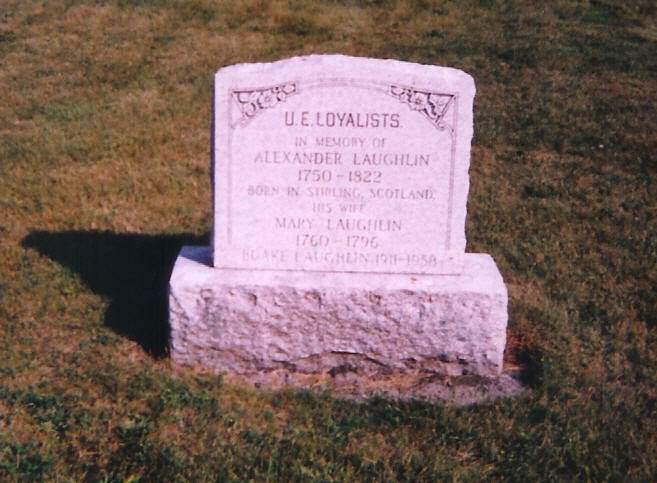 As daughter of U. E. L., Alexander Laughlin, Ernestown. Under an order in Council dated 2-27-1818, Mary, Wife of John Lake of Loughboro Township was allowed 200 Acres of land as a daughter of Alexander Laughlen of Ernestown, a United Empire Loyalist. The location of the land allotted to her was Lot 28 Concession 8, Collingwood, Simcoe. She never lived on the property. She and her Husband John Lake lived in Battersea, Storrington, Frontenac, Ontario, Canada all of their adult lives. They are thought to be buried in unmarked graves at Sand Hill Cemetery, near Battersea. Mary, m. John Lake of Loughborough, Frontenac, Ontario, Canada.